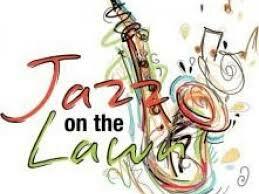 Newberry College will host the annual Jazz on the Lawn concert on Saturday, April 6, at 3 p.m., on the front lawn of the College’s Alumni Music Center on Luther Street. This year’s event will feature performances by Newberry College alumni Shannon Pinkney ’10 and Darius Starks ’16, along with the student group, College Street Jazz Connection, and the Newberry College Faculty Jazz Combo. The event is free and open to the public; however, donations are welcome. All donations will benefit instrument and facility upkeep, trainings and future events, including the student combo's participation in the Crescent City Jazz Festival held in New Orleans. “This year’s Jazz on the Lawn marks nearly a decade of this fun tradition, where campus and community members come together to enjoy great jazz on the backdrop of good weather and our beautiful campus,” McGinnis said.